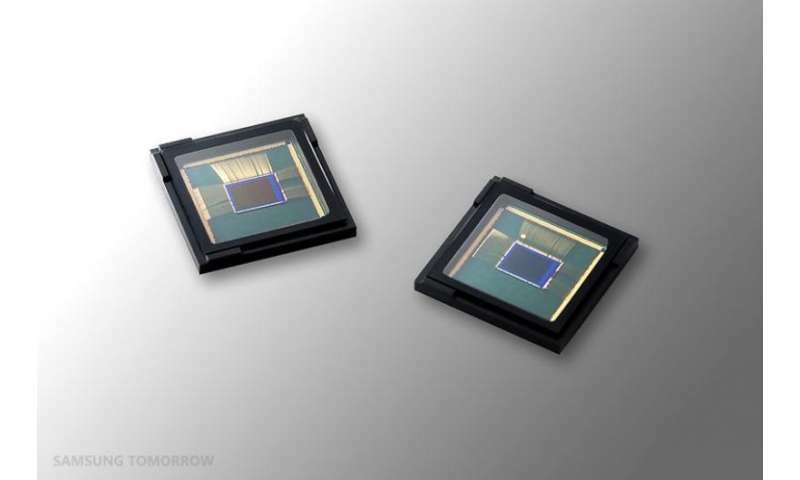 Samsung Electronics announced the industry's first 1.0μm-pixel-based 16 megapixel (Mp) CMOS image sensor for use in advanced mobile devices. Samsung's new image sensor, the S5K3P3, leverages the company's proprietary ISOCELL technology to enable the high performance 1.0μm pixels. This market-leading small pixel minimizes the overall size and height of an image sensor module, making it an ideal solution for today's increasingly thinner mobile devices. "As a trendsetter in the mobile image sensor business, we are pleased to be the first to deliver the most advanced 1.0μm-pixel imager, which meets both high-resolution and slim design requirements for smartphone cameras," said Kyushik Hong, Vice President and Head of S.LSI Marketing at Samsung Electronics. "Starting with 16Mp sensor, Samsung plans to further expand 1 .0μm-pixel product category and lead the image sensor market for high performing slim mobile devices." Built with 1.0μm pixels, Samsung's new 16Mp image sensor reduces the module's overall height by 20 percent, compared to current 1.12μm-pixel based 16Mp sensor modules. Enabling a module z-height that is less than 5mm, the S5K3P3 offers designers the ability to develop a mobile device with minimal camera protrusion without compromising on resolution. In addition, the S5K3P3 takes advantage of Samsung's ISOCELL technology to deliver image quality that is on par with 1.12μm-pixel based image sensors. Using ISOCELL technology dramatically reduces color crosstalk of neighboring pixels by adding physical barriers between each pixel. This substantially increases light sensitivity and effectively controls the collection of photons, resulting in higher color fidelity even in poor lighting conditions. Combining ISOCELL technology with the industry's smallest 1.0μm pixels, the new S5K3P3 image sensor will provide manufacturers with a differentiated design option. Samsung's new S5K3P3 image sensor is available today for mobile device manufacturers to design into their next-generation products.